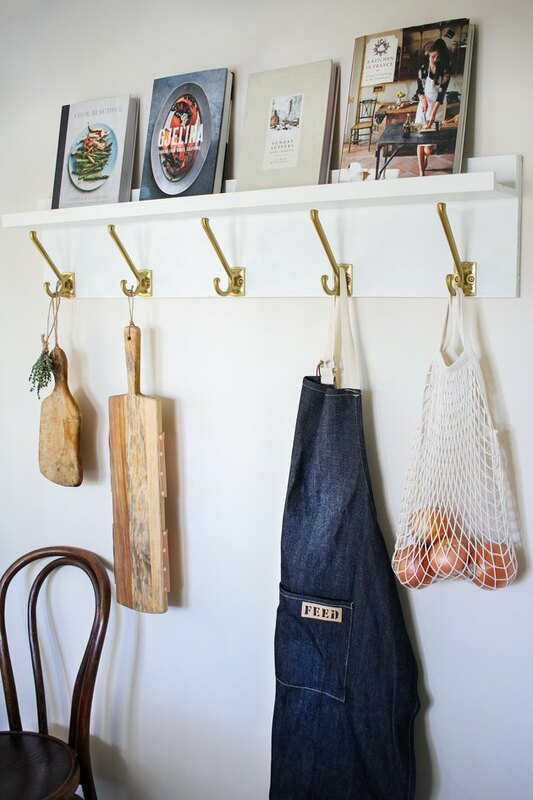 If you're short on storage space in the kitchen or struggle with cluttered counters, a wall organizer is your best friend. 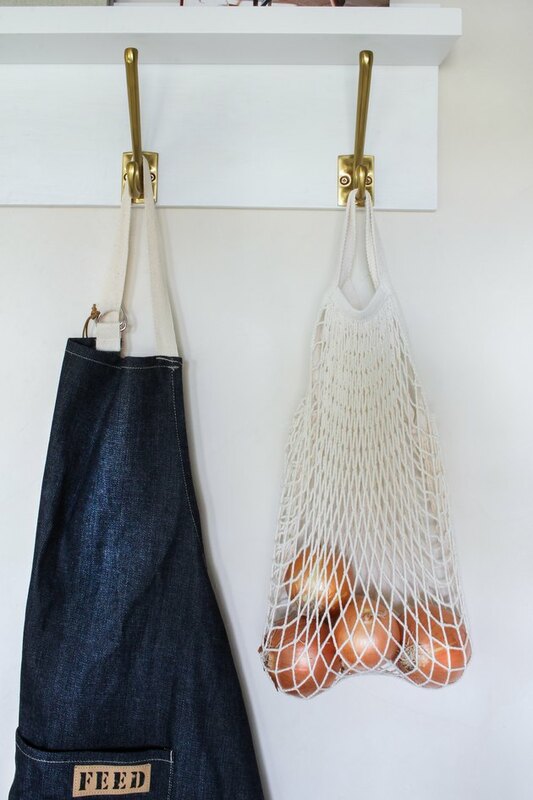 And you'll be happy to know you only need two simple (and very affordable) items from IKEA to whip up this DIY version: the MOSSLANDA picture ledge and KAMPIG wall hooks. 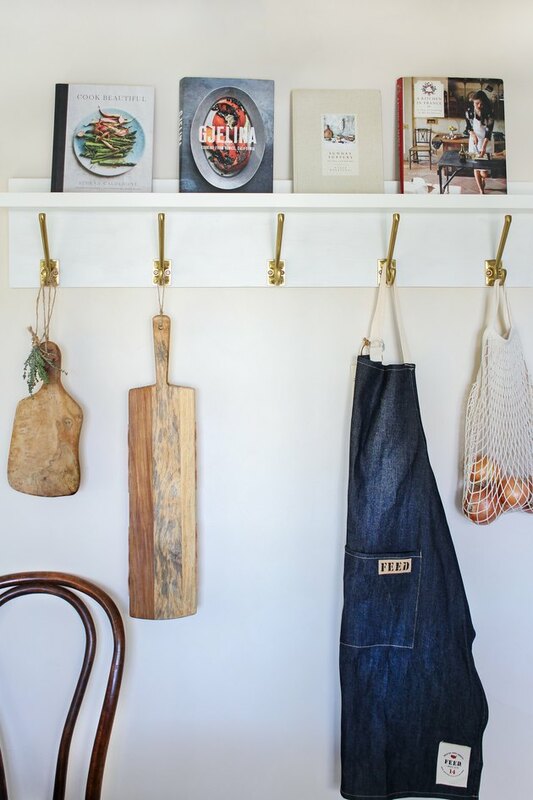 The ledge imparts the look and feel of a beautiful gallery wall, while the hooks (more utilitarian in function), serve as vertical storage for any number of kitchen tools, cutting boards, produce, or even pots and pans. 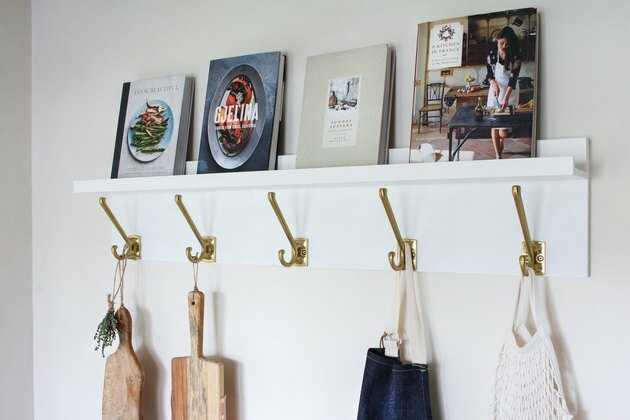 Together, they create a functional yet eye-pleasing #shelfie that will seriously up your organizational game. 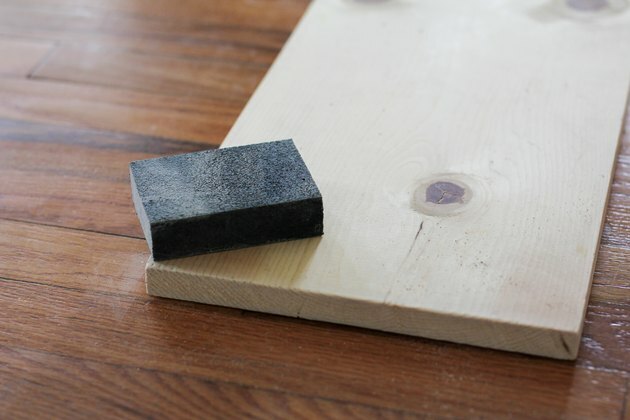 Have your hardware store cut a 1-inch-by-10-inch wood board to 45 1/4 inches long, which is the same length as the MOSSLANDA picture ledge. 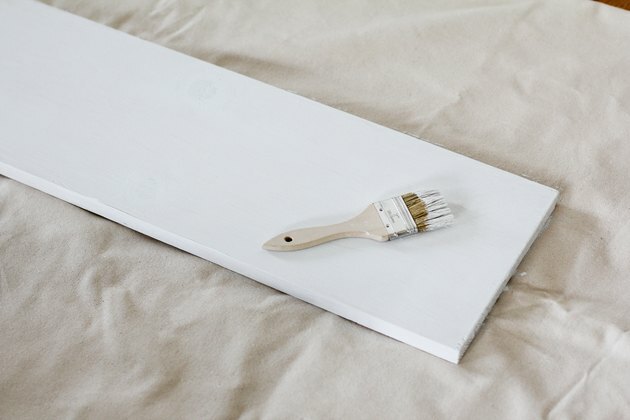 Sand around the edges of the board to smooth out any rough areas, and also sand the top surface to prepare it for painting. Wipe away any residual sanding dust. 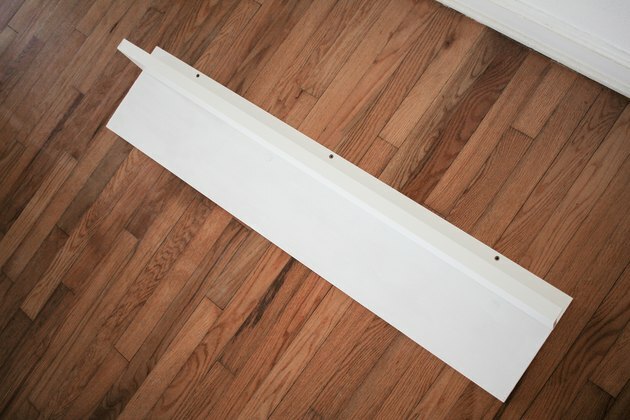 Paint the top and sides of the board with white paint to match the picture ledge. I used this white chalk paint, which wasn't an exact match, but close enough. 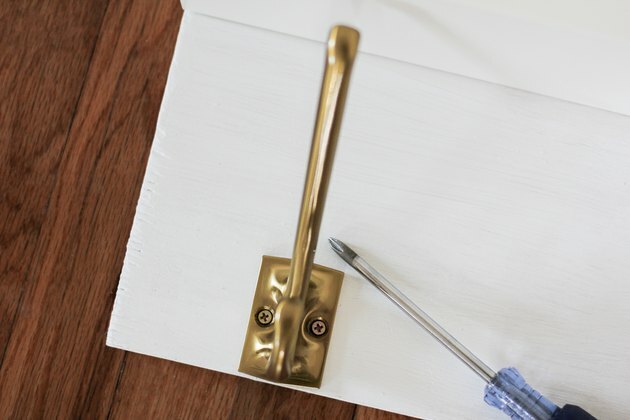 You'll likely need to paint at least two coats, letting the first coat dry completely before applying the second one. Optional: Once the paint has dried, you can topcoat it with a clear protective sealer (like this one or this one), but it isn't absolutely necessary since it won't be a high-traffic surface. Place the MOSSLANDA picture ledge on top of the painted wood board, and line up the tops of both items exactly. Arrange the KAMPIG hooks along the bottom of the board, spacing them out evenly. 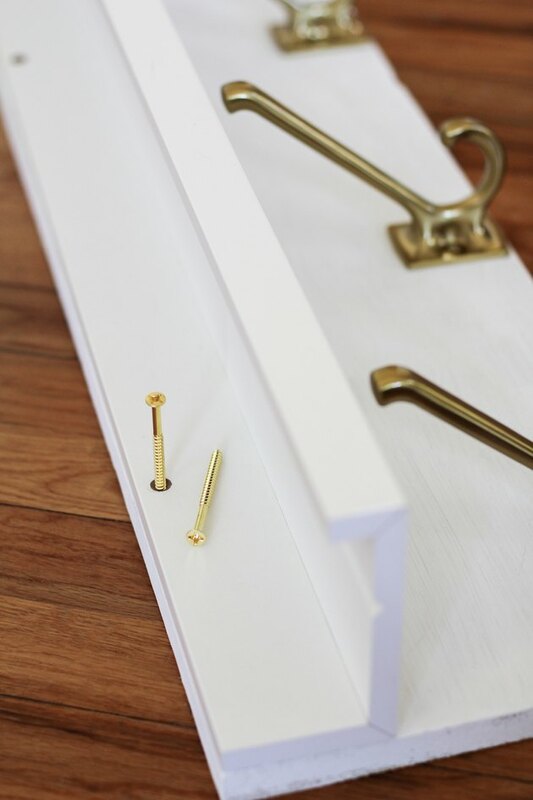 You'll need a helper to assist you with attaching the kitchen organizer to the wall, and you'll need to use screws long enough to clear the thickness of both the board and the picture ledge. 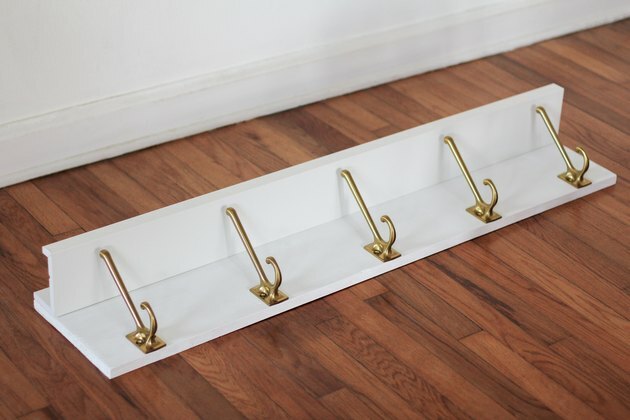 I used 2 1/2-inch wood screws (again, brass, to keep the look cohesive). 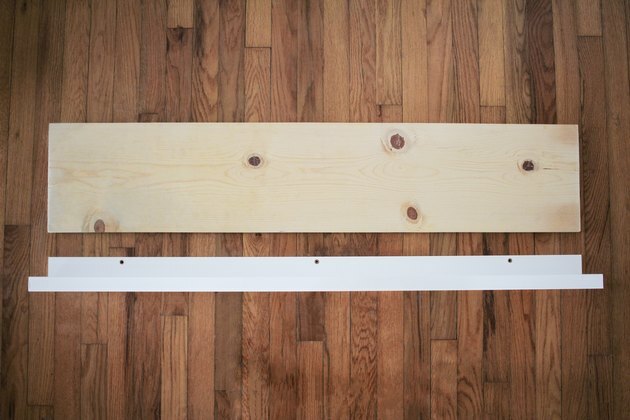 First hold the wood board against the wall and then line up the three holes on the picture ledge with the three holes on the board. 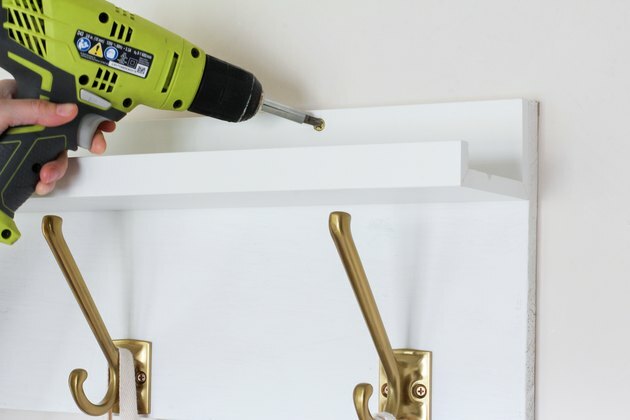 Drill screws through the holes in both pieces and into the wall. 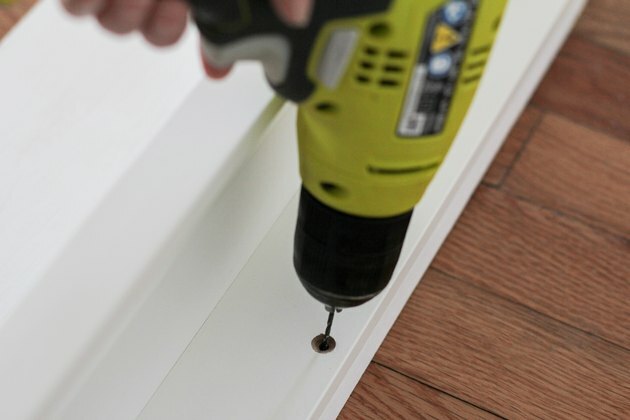 It's best to drill the screws into studs in the wall, but you can use drywall anchors if there aren't any studs present. 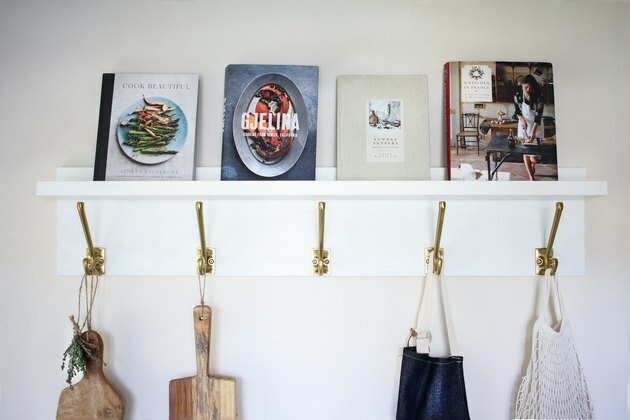 Now you're all set to show off your beautiful cookbooks, cutting boards, and favorite kitchen accessories. 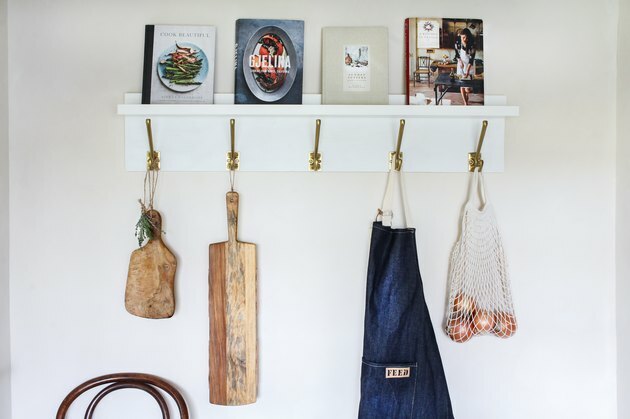 You could even use the ledge to display a mix of bowls, artwork, or other supplies. 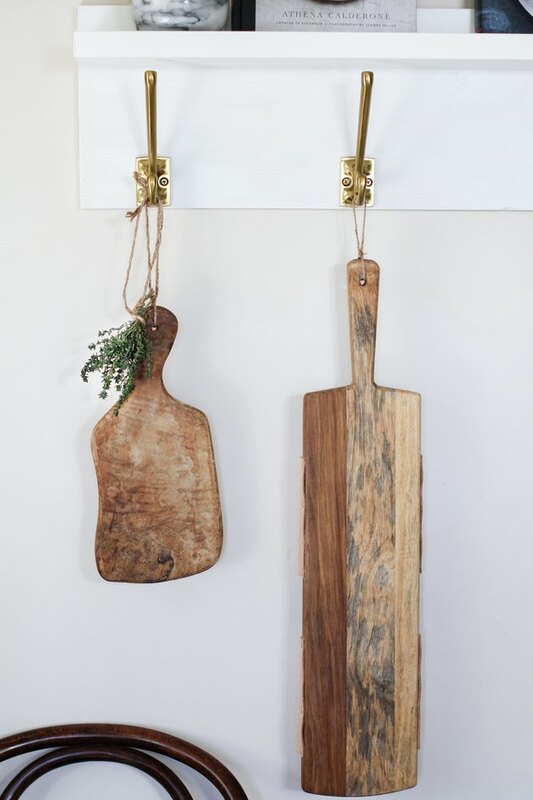 Whatever you choose to display, your formerly under-utilized wall space is sure to be transformed into a gorgeous design element in your kitchen.